Here's a superb new online slots from Bally Technologies that you can play. Welcome to Double Dragon, a 25-line online slot. It’s different from other slots in that here winning symbol combinations can start from either left to right or right to left. Both ways have rewards pay for 3 or more matching symbols in a row. Double Dragon pays homage to Chinese culture as you will notice from the first moment you enter the game. The symbols pick from Chinese culture like the Yin Yang with double dragons sitting on top of the reels that is also the wild symbol. Other symbols include a Jade gem, Koi Fish, a Scroll, Lotus Flower, Coins of Luck, the Ingot, a Lantern, the Double Luck symbol, etc. The highest paying symbols are Yin Yang and Koi Fish. Bally Technologies is a well-known and revered slot gaming company based in Las Vegas. The company was founded in 1968. It was first called Advanced Patent Technology then Alliance Gaming when Bally Gaming International bought it in 1996. In 2006 the company changed to Bally. They’re famous for creating technologically advanced high-quality gaming features and software. All their games have a few things in common; amazing graphics and music, top-notch play mechanics and exciting bonuses. Bally games feature social sharing functionality, a choice of music, GPS-enabled locators and leaderboards. The game is packed with exciting features which means more opportunities for payouts. 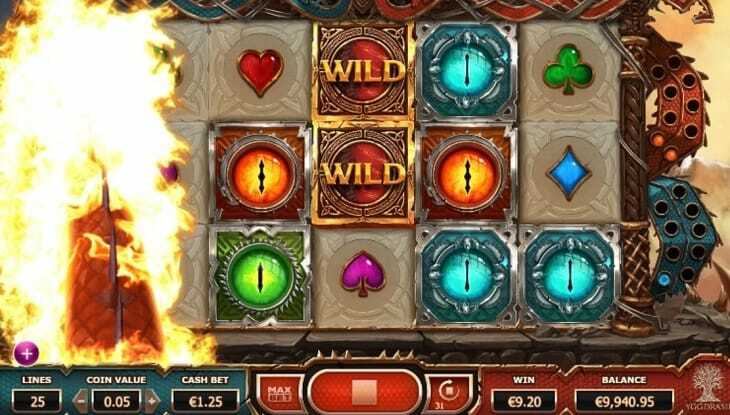 Features include free spins, stacked wilds, the bonus round called the Dragon Wild Feature and the fact that a payout can occur in any direction across the paytable. Stakes start at 0.01 to 20.00 per line. When all the 25 lines are triggered, stakes can go from 0.25 at the minimum to 500.00 at maximum per spin. Wild symbol- The Yin Yang is the wild symbol. It has several powers within the game- if it appears as 2 or more on the reels, they turn into stacked wilds and replace any other symbol in the game. The reels lock themselves and players are given a chance to re-spin on the other reels. There are 4 re-spins that can be awarded when other wild symbols appear. You wouldn’t call this a free spin bonus because it doesn’t act exactly like one. The Yin Yang symbol is powerful enough to activate the bonus round. 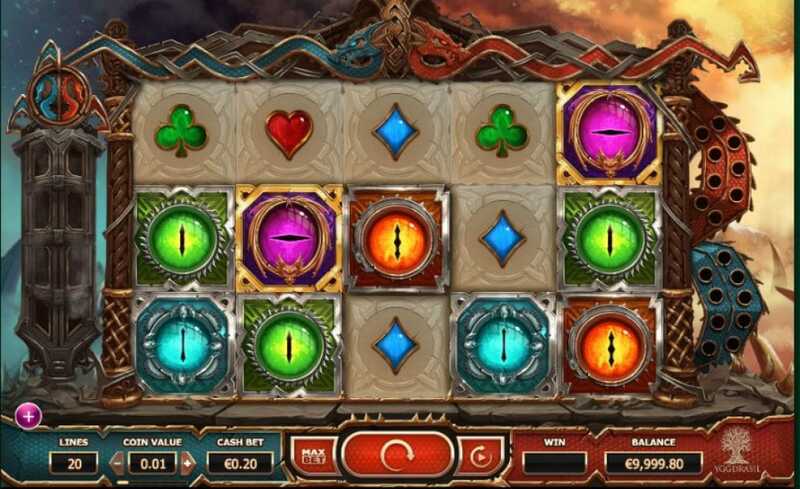 The Dragon Wild Feature- This is the bonus round where gamblers have several opportunities to win big prizes. This bonus round is activated when the wild Yin Yang appears on any reel. Double Dragon is a unique Asian-themed slot in comparison to most slots out there. If you haven’t played it yet, make sure you check out the features including the “pays right and left” feature which gives you the confidence to test your luck. The Dragon bonus feature may also give you the payout for the day. It’s a simple and exciting online slot that’s designed to cater to all types of spinners.